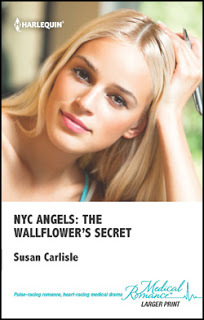 ROMANCE BOOK PARADISE: Introducing Susan Carlisle and her THE WALLFLOWER'S SECRET! Introducing Susan Carlisle and her THE WALLFLOWER'S SECRET! 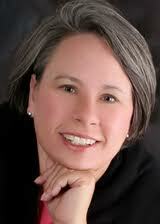 Author Susan Carlisle is answering some questions today! A tall, willowy movie star who writes on the side. Not! I'm really a mother of four, grandmother to twins, a traveler, a lover of castles and hats. A James Bond fan and a voracious romance reader. I'm the average person in the grocery store, nothing glamorous about me. The love of money? Not really. I'm not part of the rich and famous. Truthfully, I've been reading romances for over 40 years. One day my mother said, "You ought to think about writing one of those yourself." So I decide I would. I write what I love to read. It is just that simple. If I didn't like my stories, I'd have to give up writing. It is more like it picked me. The Wallflower's Secret is part of an eight book continuity that my editor asked me to be a part of. I was given the over all story line in which I was to develop the characters. It wasn't hard for me to fall in love with Ryan and Lucy. The setting is New York City and that only added to the fun. I'm super proud of this story. Since making the ultimate emotional sacrifice for her sister, counselor Lucy Edwards has kept her feelings buried and her heart on lockdown. Enter neurosurgeon Ryan O’Doherty, complete with piercing blue eyes and roguish charm. Working with him on an emotive case brings all of Lucy’s painful memories to the surface…and even closer to Ryan. Lucy’s finally tempted to let someone in—but will their fragile relationship survive her most difficult revelation? Intriguing! What secret is she hiding? I'll have to read to find out! Yes, you have to read to find out what secrets she is hiding! Thanks for dropping by! Sorry I can't tell you the secret either. I think you will be surprise when you find out. Glad you stopped by. Thanks. I love to visit New York. Bright lights and big city-fun. Lucy and Ryan were great fun to write about. Thanks for coming by. Yeah, I have a good mother and one that is very supportive. She told me that years ago, I just wish I had listened sooner. Well, if anyone knows how to pick titles and covers, it's Harlequin. I read tons of their romances when I was younger. I think your book sounds great, and I love it's NYC connection. I lived there for many years. The whole series of NYC: Angels are awesome! You should try it Lexa! What part of the city did you live in? There are so many great areas. I know you will recongize a number of places in The Wallflower's Secret. Gald you like the cover and title. I was rather pleased. Thanks for coming by to chat with Susan, Jemi! I'm a romance reader first and foremost. I have to say awa at the end or re-write! I need to be proud of the story before I send it out into the world. I hope you enjoy The Wallflower's Secret too. Wow! I couldn't imagine not being able to pick the title of my books! It used to bother me but marketing knows best I'm told. I no longer name my books when I'm writing them. I call them by the characters' names. That way I don't have to remember the new name when I get it. What a fun interview! Loved her witty replies to the questions. Here's to continued writing and continued success. Thanks for coming by C.Lee. I'm a pretty humous person anyway, so the interview was easy for me. I plan to have many more books to come. I love writing for the medical line. Thanks for coming by Nutschell! I believe that you have to love what you write to be any good at it, otherwise it would show. I hope my passion for romance shows in every one of my books. That my goal anyway. How fun to be able to write as part of a series with other authors! It was scary at first but I have to admit it turned into great fun. We would get online and talk about the continuity especially where the stories intersected. I would do it again. You are a truly youthful looking woman and don't look like you've been reading for forty years. You look to be no older than thirty. Can't believe you're a grandmother. You win the prize today for best comment. My daugther saw my picture and said, "Mother you have been digitally enhanced!" No so much, but I am a few years older.The twin are only 4 months old. Really glad you stopped in! Oh, I'm glad I've made you happy. But I genuinely meant what I said. And congratulations on the twins. I'm pleased to meet Susan. I like having input in titles. This one's good, though, and I like the sound of this story. If I had imput on a title I'm not sure I'd produce a good one. Glad you stopped by. Congrats on the new book--the cover art is lovely! Thanks Connie. The cover is rather pretty. Susan just informed me that random.org picked the winner as...drumm roll...Jemi Fraser! Congratulations Jemi! Thanks to all my lovely friends for coming along to chat with Susan here and thanks to Susan for this giveaway and for being here chatting to all our friends! Good teaser for the book, Susan, and terrific answers. Congratulations on the release!